It's time to get your body ready. Not in the summer beach-bod way, but in the expand-your-pants kinda way. Nothing says summer like loosening the ol' belt, am I right? While many people are getting ready for everyone's favorite sunny season by hitting the gym and downing protein shakes, I find myself skipping up and down the Ralph’s aisles gearing up for some epic barbecues. All I need is the right music to really get me in the mood. Sure, there are some contenders with pretty great potential to be 2016 summer hits, and there's beach playlists to make you feel chill no. matter. what. 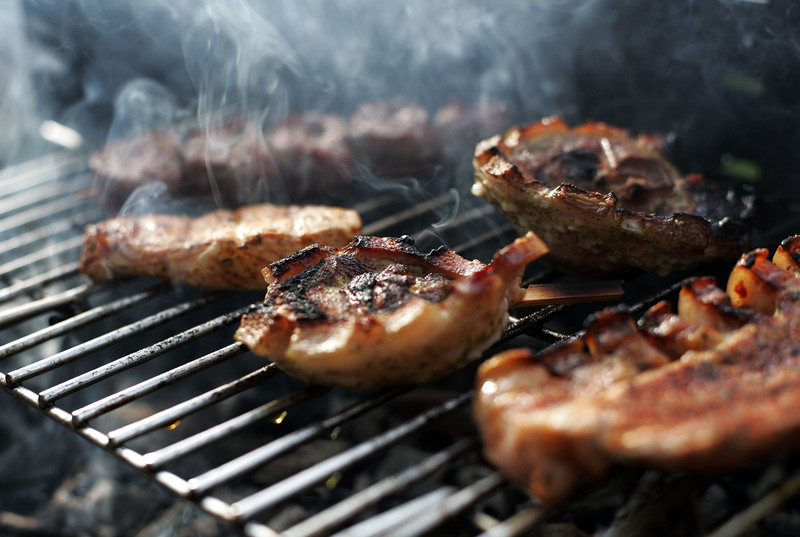 But maybe it’s Nick Jonas’ “Bacon” debut or the smell of grilling in the air, but my mouth is watering and the only cure is a playlist perfect for a barbecue to get the fun started. Whether you’re a pina colada or beer lover, or prefer cheeseburgers to fried chicken, this playlist has everything you need. I seasoned in a little country, folk, pop, hip-hop and more to give you that variety we all crave at a barbecue. Not only will these songs get you hungry, thirsty, and ready for your favorite summer experience, it’ll make you the host with the most by keeping your guests satisfied all day and night long. The one thing I love more than Nick Jonas is Nick Jonas belting out a tribute to the true love of all our lives: bacon. Have you seen the music video? Besides feasting your eyes on Jonas, there are piles of crispy bacon, upon bacon, upon bacon. There is a God. Jimmy B. is the ultimate summer jams king. While his iconic beachside sound gets you in that hazy summer mood, hearing "cheeseburger" over and over will prompt the drool to start immediately. While we're talking Jimmy, no summer, never mind barbecue, would be complete without this classic. You will instantly sway back and forth and do whatever you have to do to get a giant margarita in hand and embrace the carefree vibes. Preferably with salt. This summer classic will get you in the mood all year long. It'll just sound that much better when you're enjoying a fresh, crisp piña colada while surrounded by your peeps. This catchy tune is a drug for summer lovers. Get your fried chicken on, crack open a cold beer, and attempt not to grin like a total idiot the whole time you listen to this one. If you don't feel immediately happy-buzzed when you hear this familiar summer beat, I'm just not even sure you're listening. Make sure your cooler is stocked, because this song is a surefire way to get guests cracking those beers. You've been working hard floating in that pool and you deserve a snack. This old-timey throwback will change the speed of your poolside vibes and with adjectives like "greasy," "gooey," "salty," it'll get you to finger-lickin' goodness in no time. This song celebrates the glory of the simple life, and what's simpler than enjoying some barbecue staples with great company in some perfect weather? Nothing, friends. Nothing. Water is probably overrated at a barbecue unless you're jumping into a refreshing pool of it. Let's take it back once again with this laid back tune that lends itself to swaying arm-in-arm with your buddies. Once you get to the chorus and hear about "Jambalaya and a crawfish pie and fillet gumbo," you'll be fighting each other for some of that goodness. Not an ideal tune for a game of pong (that's what #7 and #10 are for), this one will chill you out and allow you to enjoy your beer. OK, this song may not actually be about chicken — it's more of a metaphor — but it's still a good song, so it works. Every barbecue needs dessert, and even if you don't whip up some pancakes, allow Jack Johnson to inspire you to perhaps make banana bread? Banana cream pie? And listen to this equally delightful tune while you enjoy.